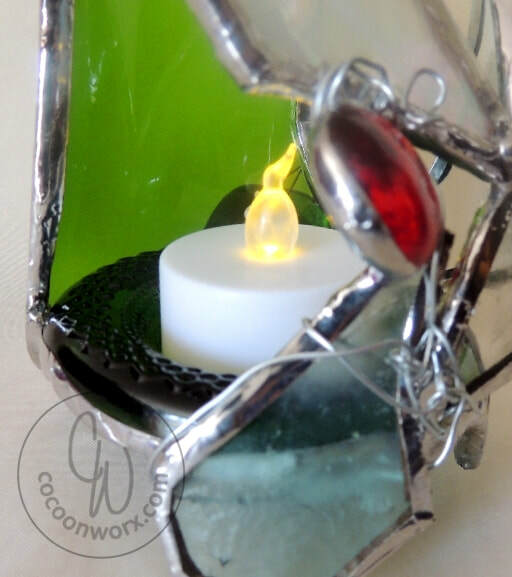 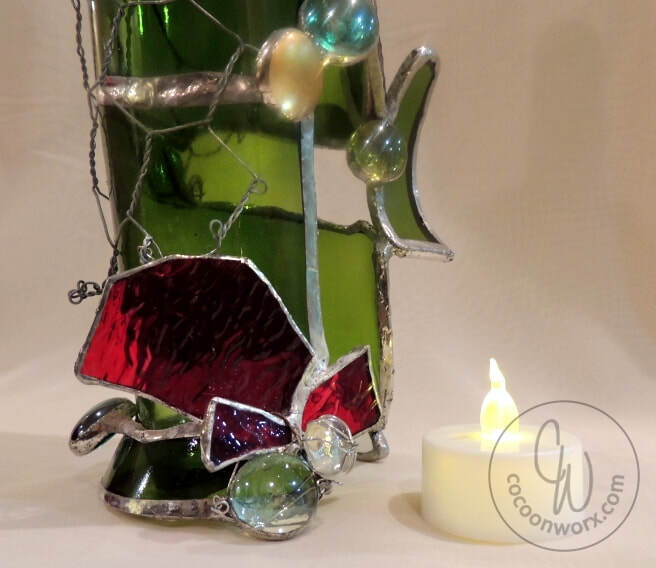 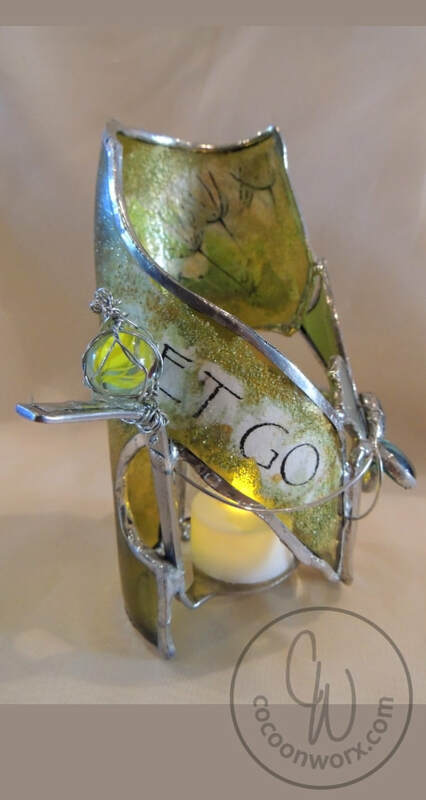 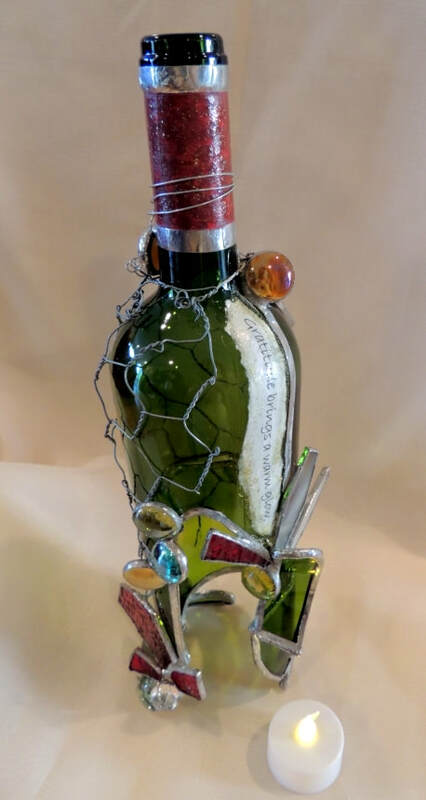 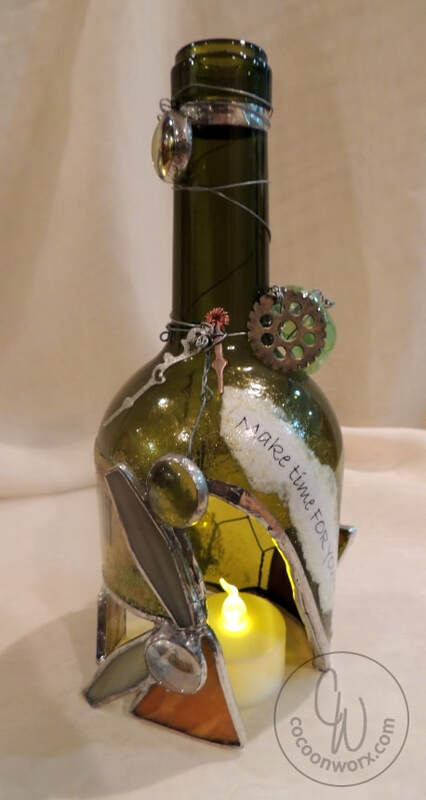 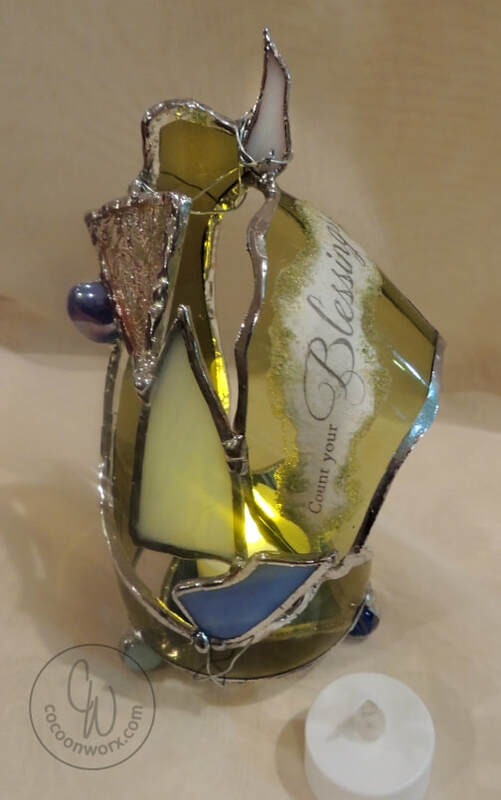 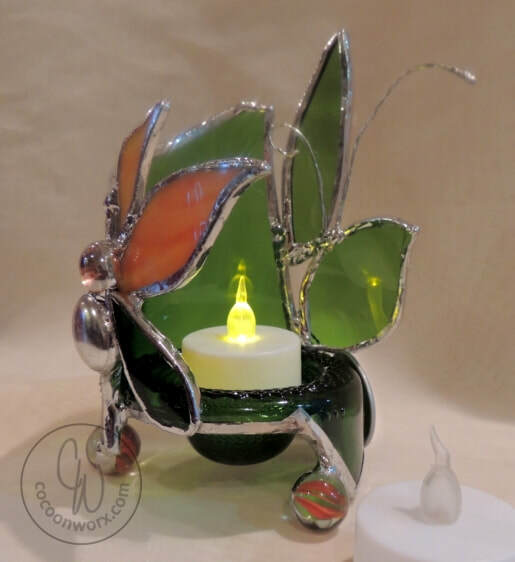 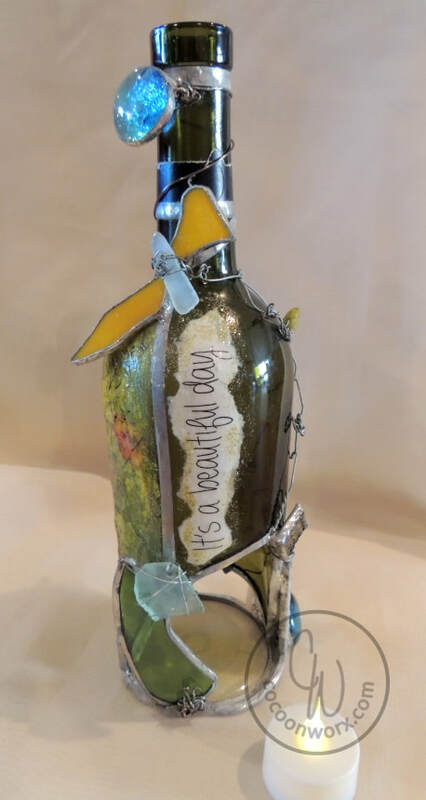 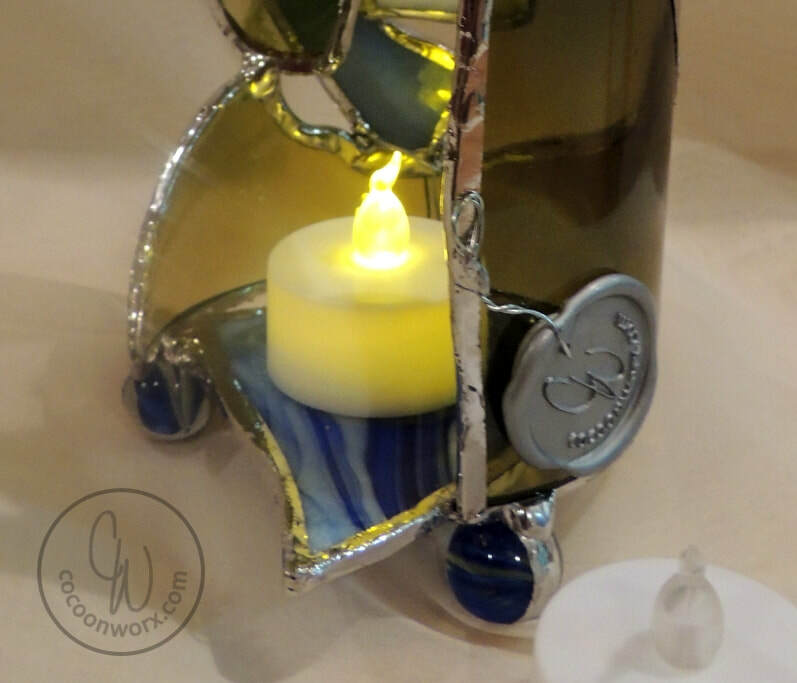 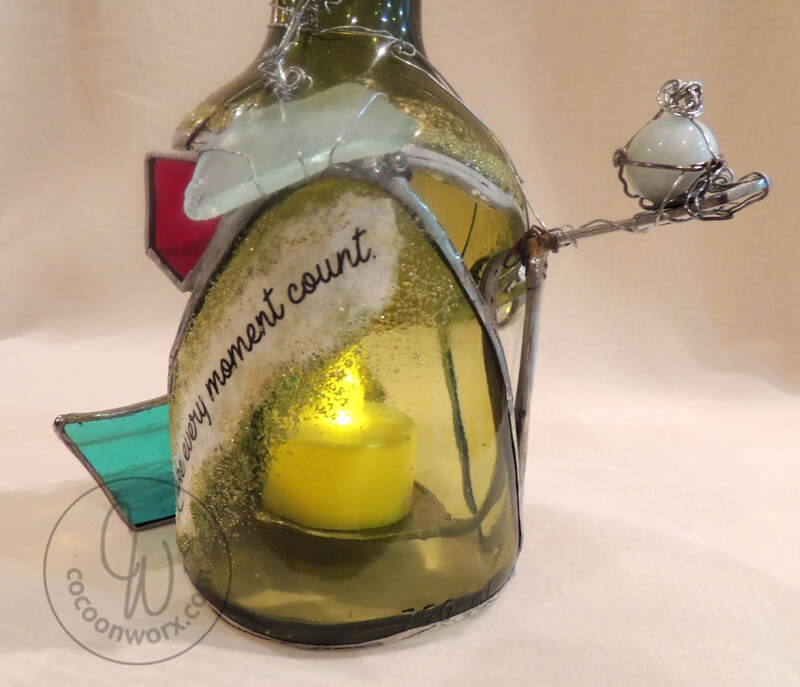 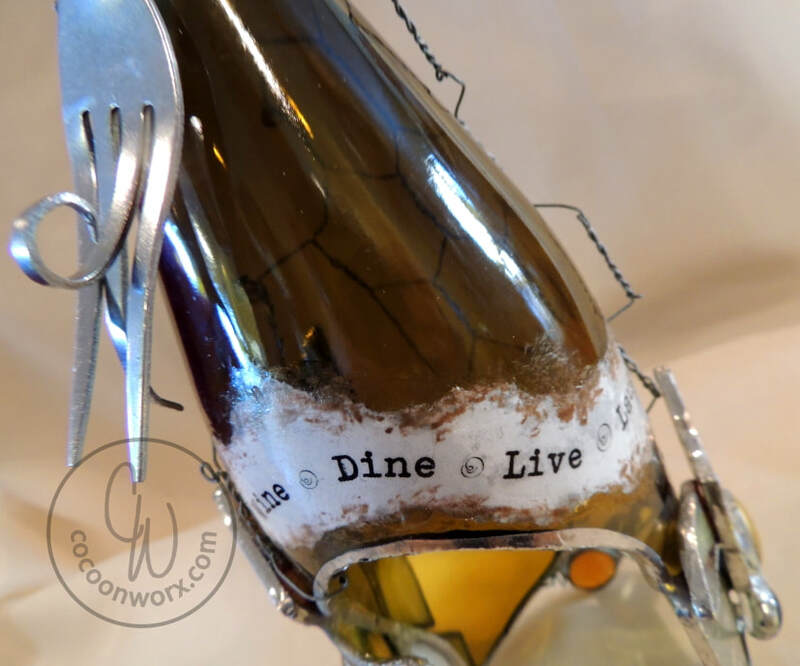 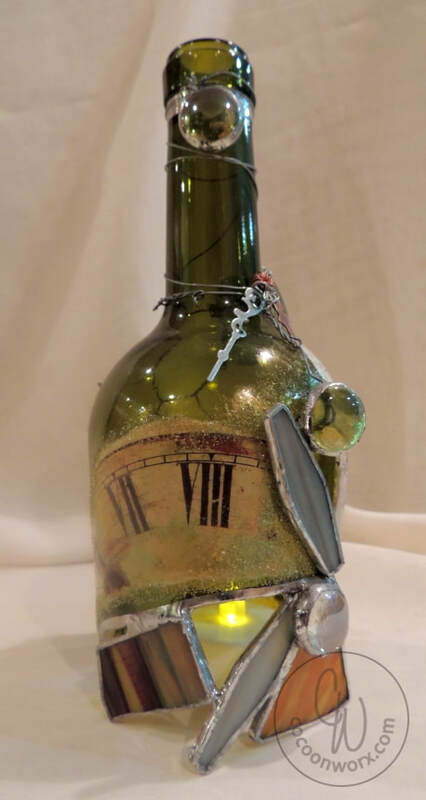 CocoonWorx™ Mixed Media Stained Glass Luminaries are ONE OF A KIND pieces and 100% hand made in the traditional and most common way of doing stained glass. 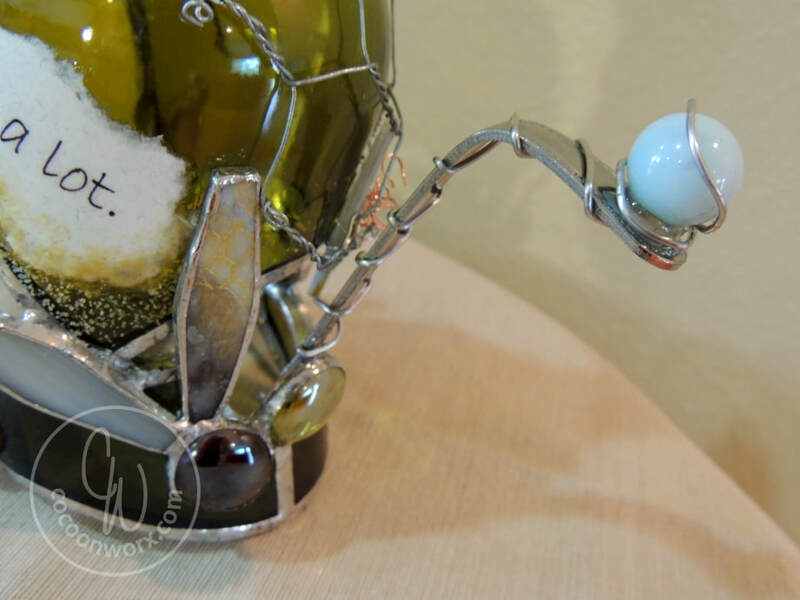 Custom Worx can be ordered with lead free solder as well. 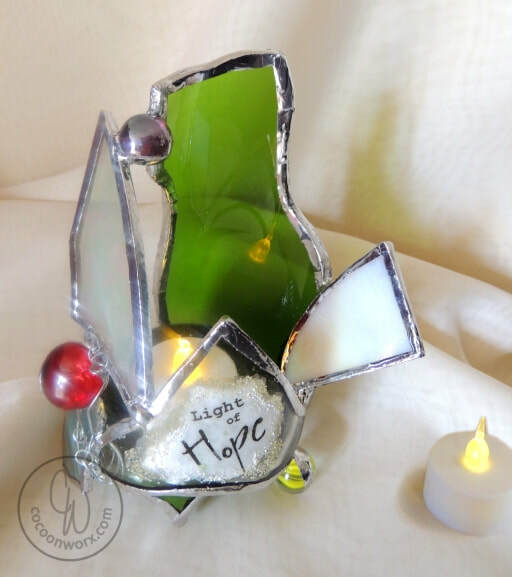 Each of our Luminaries comes with a flameless candle. 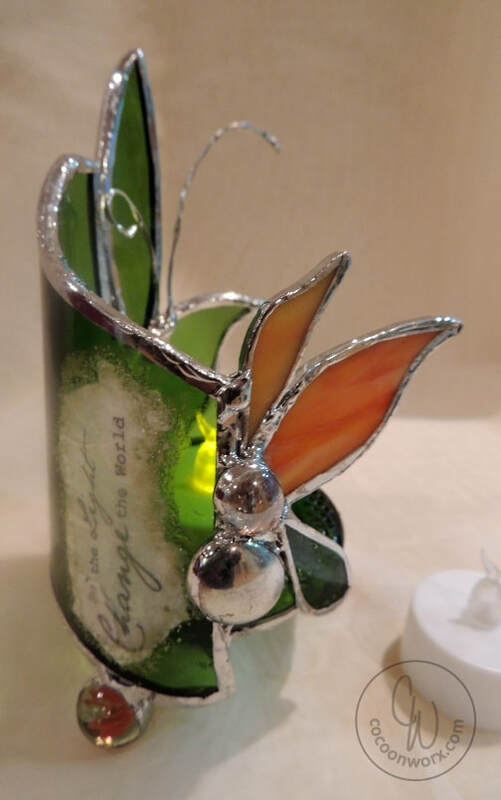 We recommend using flameless candles only for our Luminaries – however if you wish to go with a real candle, please do not use anything larger than a tea light. 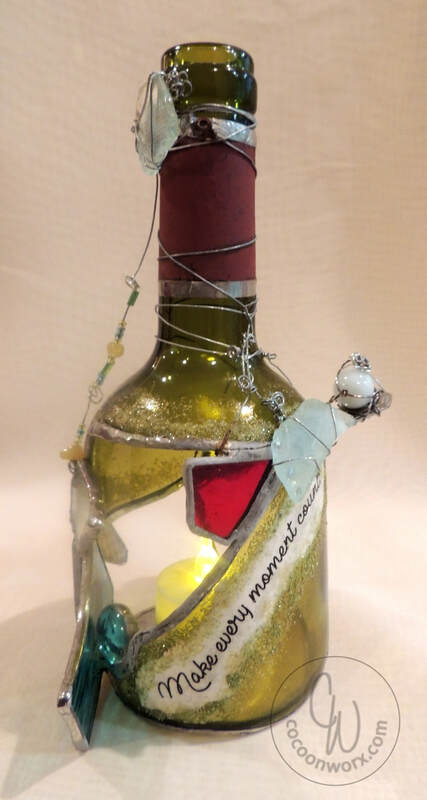 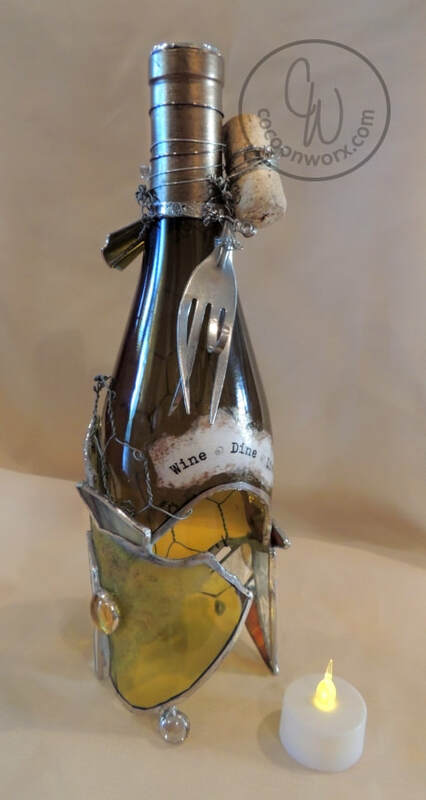 Never close bottle neck Luminaries with a cork or some other lid as this may cause heat to get trapped. 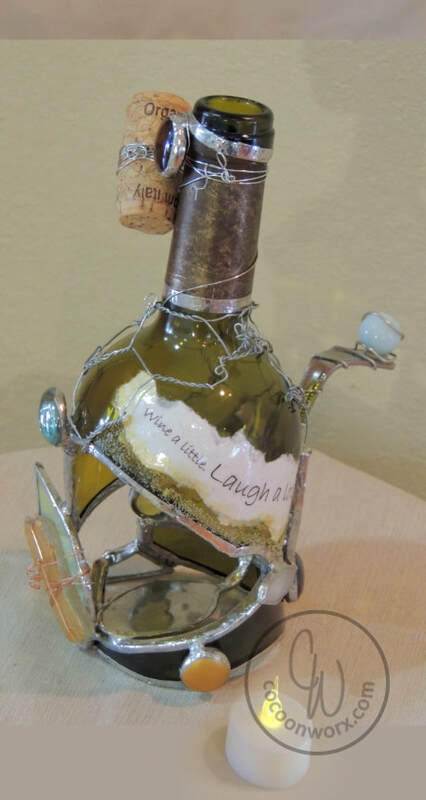 "Be the Light Change the World"
"Gratitude brings a warm glow"
"Wine a little Laugh a lot."